Matthew 17: 1-13 (the New Testament reading in the Revised Common Lectionary for this morning). 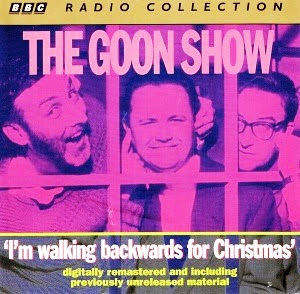 It is 60 years since Spike Milligan and the Goons recorded a hit single, I’m Walking Backwards for Christmas. It was originally sung by Spike Milligan in the show to fill in during a strike by musicians, and was one of the 14 singles released by Peter Sellers, Harry Secombe and Spike Milligan from June 1956 on. It was released on 25 June 1956, quickly reaching No 4 in the UK singles chart. I am barely old enough to remember it, but I think it was so crazy that it inspired the title of a new Advent book by the Bishop of Chelmsford, Stephen Cottrell: Walking Backwards to Christmas: An Advent journey from light to darkness (right). Most people have learned the Christmas story from school nativity plays and carols, some adults think they know it, but only know because of the libretto of Handel’s Messiah. But most of the familiar tellings of the Christmas story are more concerned with light than darkness. The backwards approach taken by Bishop Cottrell in his new book takes the journey in the opposite direction, as he explores the Advent story through the eyes of a variety of characters. He begins by seeing through the eyes of Anna, the prophetess who encounters Jesus in the Temple; followed by Rachel, who weeps for her children in Bethlehem; King Herod; the wise man Casper; a shepherd named David; Martha, the name he gives to the innkeeper’s wife; Joseph; Elizabeth; Mary; Isaiah and, finally, Moses. Each imaginative reflection is prefaced by a Bible reading and followed by a prayer, to set it in context, as we are invited to step imaginatively into the Advent Story. It is certainly a very different approach to preparing for Christmas this year. It is very difficult to prepare for Christmas when Santa has already arrived in every shopping centre, when the Christmas lights are already strung across the Main Street in every town and village, and many of our parish choirs are already singing Christmas carols. Indeed, it is hard to distinguish between Advent and Lent when you find Cadbury’s crème eggs are already on sale. But even in the Church we often manage to confuse Advent and Lent, probably because they are both seasons of preparation when we change the liturgical colour from Green to Purple or Violet. The word Advent, from the Latin word adventus, means ‘coming.’ That Latin word is simply a translation of the Greek word παρουσία (parousía), used for the Second Coming of Christ. This season is a reminder of the original waiting for the coming of the Messiah. But more especially it is a reminder of our waiting for Christ at his the Second Coming. This season, which begins on Sunday week, the First Sunday of Advent [3 December 2017], is the season when the Church marks a time of expectant waiting and preparation for the coming of Christ, not just as a cuddly child in a Christmas crib, but his coming in glory and as king. Throughout these four weeks, our readings, collects, post-communion prayers and the other seasonal provisions in our liturgies try to focus us – yes on Christ’s incarnation, but more particularly (if less successfully) to focus us – on Christ’s coming judgment and reign. Because of that, the ‘Four Last Things’ – Death, Judgment, Heaven and Hell – have been traditional themes for Advent meditation. The characteristic emphasis in Advent, therefore, is expectation, rather than penitence. 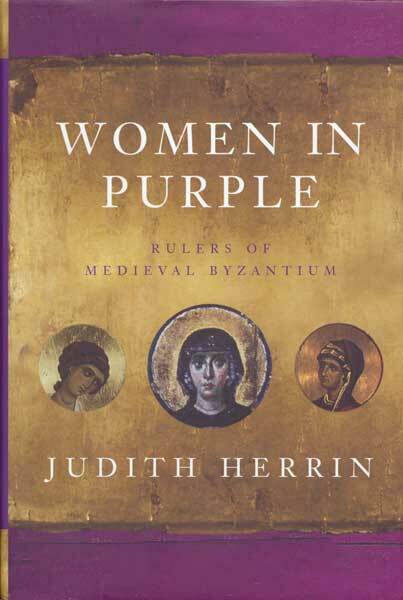 So, we change our liturgical colour in Advent to purple to signify we are preparing for the coming of Christ as the King of Kings, the ruler of all, in all his royal, imperial, majesty, splendour and glory. Although comparisons are too often made with Lent, Advent is a time of preparation rather than a time of penitence, Lent too is a time of preparation for the completion of Christ’s majestic task, seen in his passion, death, burial and Resurrection. It was a time too, in the Early Church, of preparation for baptism, which required penitence and repentance and μετάνοια (metánoia), conversion, turning round to face Christ. 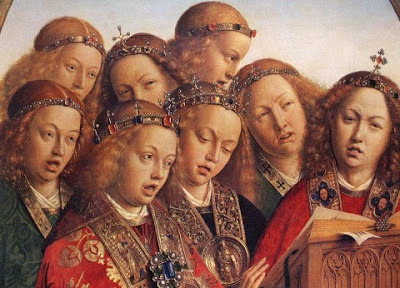 Today’s office parties, Christmas lunches, early Santas, hastily-planned carol services, and bringing the last posting day forward to the week before Advent, make it difficult to sustain this sense of being alert and watchful. Yet, can’t you remember with glee and warmth the child-like waiting and watching you experienced during the build-up for Christmas? In the cold and dark of winter, can you remember that warm glow you felt as you anticipated such a wonderful festival? In recent times, the most common, popular observance of Advent is the use of the Advent Calendar, with one door being opened in the calendar, or one new candle being lit, on the Advent Wreath each day or each week leading up to Christmas Eve. ● 7, good old Saint Nicholas. ● 8, the Readings, Collects and Post-Communion Prayers: working our way through Revised Common Lectionary in Advent. The Advent Calendar … a choice between Christ and chocolates? As children, many of us have watched the progression of Advent through the doors of an Advent calendar. 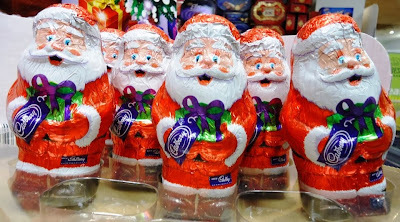 I remember once looking for an advent calendar for our children in a shop one year and being asked cheerfully: Do you want one with the chocolates or one with the child? You know what an Advent calendar is: it allows us to count or celebrate the days of Advent, and to build up an anticipation of Christmas. Today, most Advent calendars are made for children. But why can’t they be for adults too? 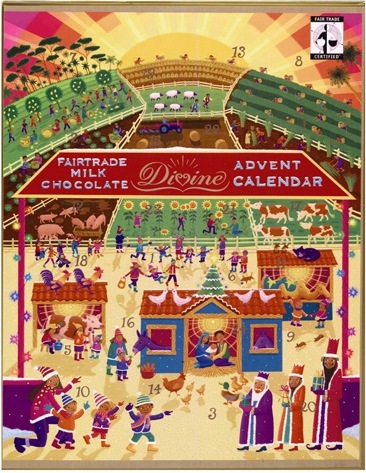 Advent Calendars do not have to be filled with chocolates and sweets. You can make a simple one in your parish, using a large rectangular card, cutting out the right number of windows, so that one can be opened each day during Advent, revealing an image, a poem, a Scripture text or part of a story related to the Nativity. The Advent Calendar has its origins among German Lutherans, and may have been a family practice in German-speaking places from the 17th century on. From perhaps the beginning of the 19th century, many German families counted down the 24 days of Advent physically: at first, this meant simply drawing a chalk line on the door each day from 1 December. Some families had more elaborate ways to mark each day – lighting a new candle or hanging a little religious picture on the wall. The first known Advent Calendar was handmade in 1851, the first printed Advent calendar was produced in Hamburg in 1902 or 1903, and the first commercially produced Advent Calendar, produced in Munich in 1908, had 24 little coloured pictures that could be affixed to a piece of cardboard. The custom spread from Germany after World War II. Even though we may have put your childhood behind us, we may find an Advent Calendar a source for inspiration for prayers and intercessions during the next few weeks in our parishes throughout these dioceses. Some years ago , members of all Anglican Churches were invited to mark Advent through prayer, meditation and by contributing to a global Advent calendar on Instagram. The Anglican Communion Office and the Society of Saint John the Evangelist (SSJE) is teaming up to offer Anglicans and Episcopalians around the world a daily word, meditation and beautiful image sent to their e-mail inboxes. After reading the meditation, the monks invited people to take a photograph with their phones or tablets to share their interpretation of the word for that day – such as #Abide, #Thrive, #Become, #Imagine – and to post the picture to Instagram adding the day’s tag plus #Adventword. In a similar vein, the Dean of Lichfield Cathedral, the Very Revd Adrian Dorber, has produced a calendar of Advent Devotionals for Advent in different years, allowing readers to spend five minutes a day in appropriate reflections. In some of our parishes, we may have Advent Wreaths. Traditionally, a new candle is lit in church each week, followed by a Bible reading or selected prayers. Some say the circle symbolises the eternal cycle of the seasons while the evergreens and lit candles signify the persistence of life in the midst of winter. The Advent wreath is said to have been the idea of Johann Hinrich Wichern (1808-1881), a German pastor and a pioneer in urban mission work among the poor in Hamburg. In December 1838, he made a large wooden ring from an old cartwheel, with 19 small red and four large white candles. A new small candle was lit each weekday in Advent, and a large white candle was lit on Sundays. The custom spread in Germany and evolved into the smaller wreath with four or five candles. The custom spread to Britain in the 19th century, and to North America in 1930s, so that it has global appeal today. In most Anglican churches today, there are three purple candle and one pink candle in a ring, with a white or gold candle in the centre. The purple candles reflect the liturgical colour of the season, while pink marks the Third Sunday of Advent, when that colour change briefly to pink. Christmas Day: The Christ (White or Gold). 4, The Virgin Mary bore him in her womb and gave birth to him. The pink candle on the Third Sunday of Advent comes from the mediaeval tradition of adopting a splash of colour on this Sunday, Gaudete Sunday or ‘Rose Sunday,’ reflecting the traditions surrounding Laetare Sunday (Refreshment Sunday), the Fourth Sunday of Lent. In other traditions, the first candle is called the prophet’s candle and is meant to signify the hope of Christ’s coming. The second is called the Bethlehem candle in honour of the city of Christ’s birth. The third candle is the shepherds’ candle. The final candle is the angels’ candle, symbolising the angelic proclamation of joy at Christ’s birth. In either case, the accumulation of light is an expression of the growing anticipation of the birth of Christ, the light of the world. The circular wreath represents God’s eternity and unity. Evergreens are a symbol of enduring life. A number of carols have been written for use with the short liturgy as the Advent candles are lit. A common format is to add an extra verse each week, relating to the symbolism of that week’s candle. The Jesse Tree has become a popular teaching aid in many Anglican parishes, although the earliest example probably dates from the 11th century. The Tree of Jesse depicts the Ancestors of Christ in a tree that rises from Jesse of Bethlehem, the father of King David. The earliest example dates from the 11th century. But it is also inspired by that passage from Isaiah: ‘There shall come forth a shoot from the stump of Jesse, and a branch shall grow out of his roots,’ (Isaiah 11: 1), which is in the Old Testament reading in the Church of Ireland lectionary for the first Tuesday in Advent this year (5 December 2017: Isaiah 11: 1-10). The lineage of Jesus is traced by two Gospel writers, Saint Matthew and Saint Luke. Saint Matthew’s Gospel opens with the words: ‘The book of the genealogy of Jesus Christ, the son of David, the son of Abraham.’ With this beginning, Saint Matthew makes clear Jesus’ whole lineage: he is of God’s chosen people, by his descent from Abraham, and he is the ‘shoot of Jesse’ by his descent from Jesse’s son, King David. Saint Luke describes the ‘generations of Christ,’ beginning with Jesus himself and tracing backwards through his ‘earthly father’ Joseph back to Adam (see Luke 3). The figures in a Jesse Tree are drawn from the genealogies in the Gospels, although usually showing only a selection. In many churches, the traditional Jesse Tree is decorated over the course of Advent with symbols representing stories leading up to the Incarnation – for example, a burning bush for Moses, a ram for Isaac or a crown for David. 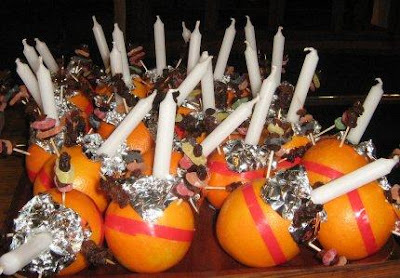 The Moravian custom of a Christingle service was introduced to these islands in the late 20th century, and resources are available through the Children’s Society (in the Church of England). Christingle services may take place before or after Christmas, but they are a good resource for Advent. These are the antiphons for the canticle Magnificat at Evensong, Evening Prayer or Vespers day and mark the forthcoming birth of the Messiah. They form the basis for each verse of the popular Advent hymn, O come, O come, Emmanuel. These antiphons, all beginning with ‘O ...,’ were sung before and after the Canticle Magnificat at Vespers from 17 to 24 December, the seven days before Christmas. They are addressed to God, calling on him to come as teacher and deliverer, and woven through with scriptural titles and images describing God’s saving work in Christ. 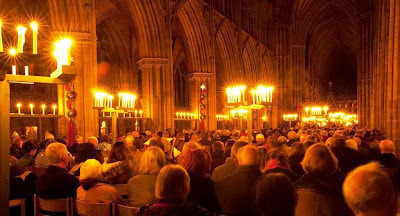 This tradition was developed in the Sarum Rite in mediaeval England, and was reflected in The Book of Common Prayer, where the Anglican Reformers retained the title O Sapientia (‘O Wisdom’) as the designation for 16 December. It is from this tradition that we have derived one of the best-known Advent carols, O Come, O Come, Emmanuel (Irish Church Hymnal, 135). But there are other special Advent carols and hymns for this season. See Irish Church Hymnal, Nos 119 to 145. 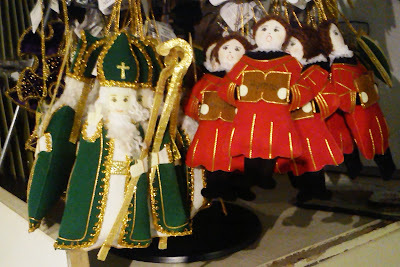 It is worth reminding ourselves that Saint Nicholas is commemorated not on 25 December but yesterday on 6 December, even if he does not make an appearance in the Calendar of the Church of Ireland Calendar. Saint Nicholas was such a favourite saint in mediaeval Ireland that many our principal ports and towns have large churches named after him, including Carrickfergus, Co Antrim; Dundalk, Co Louth; Dublin (two churches); Galway; Cork; Adare, Co Limerick; and, in the mediaeval era, on Nicholas Street, close to Saint Mary’s Cathedral, Limerick. His willingness to travel, even when his own life was at risk, makes him a role model for the church in mission. As Bishop Nicholas of Myra, he was a key defender of Trinitarian dogma at the Council of Nicaea (325). The stories of his bringing the victims of murder back to life is a reminder that Christmas is without meaning unless it is related to and connected with Good Friday and Easter Day, that the significance of the Incarnation is to be found in our Redemption and the Resurrection. As a bishop who was the protector of vulnerable children and teenagers to point of risking his own place in society, he is an important challenge to some of the ways the whole church has handled some recent difficulties; as the free-giver of gifts, without expecting anything in return he is a reminder that God’s love is given freely and unconditionally at the Incarnation in his Son, Christ Jesus ... and what better sermon could we preach in the Season of Advent. Isaiah 64: 1-9; Psalm 80: 1-8, 18-20; I Corinthians 1: 3-9; Mark 13: 24-37.
one God, now and for ever.. Amen. Note: This collect is said after the Collect of the day until Christmas Eve. Isaiah 40: 1-11; Psalm 85: 1-2, 8-13; II Peter 3: 8-15a; Mark 1: 1-8. Note: At the time of preparing these notes, the Collect, Readings and Post-Communion Prayer for the Fourth Sunday of Advent were not available on the Church of Ireland website. II Samuel 7: 1-11, 16; the Canticle Magnificat or Psalm 89: 1-14, 19-26; Romans 16: 25-27; Luke 1: 26-38. Note how at Advent we begin a new cycle of lectionary readings, beginning to read the Gospel according to Saint Mark. Note the themes in the Old Testament readings. How do the collects and Gospel readings relate to the themes symbolised in the Advent wreath? 1, Are you ready for the coming of Christ? 2, Is this a time of preparation or celebration for you, your parish? 3, Is Christmas more important than Easter in your parish? 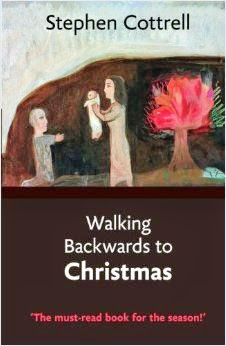 Stephen Cottrell, Walking Backwards to Christmas: An Advent journey from light to darkness (London: SPCK, 2014). Nick Fawcett, A Chequered Legacy: The good the bad and the ugly: An Advent course. Book 1: The Good (Stowmarket, Suffolk: 2014). 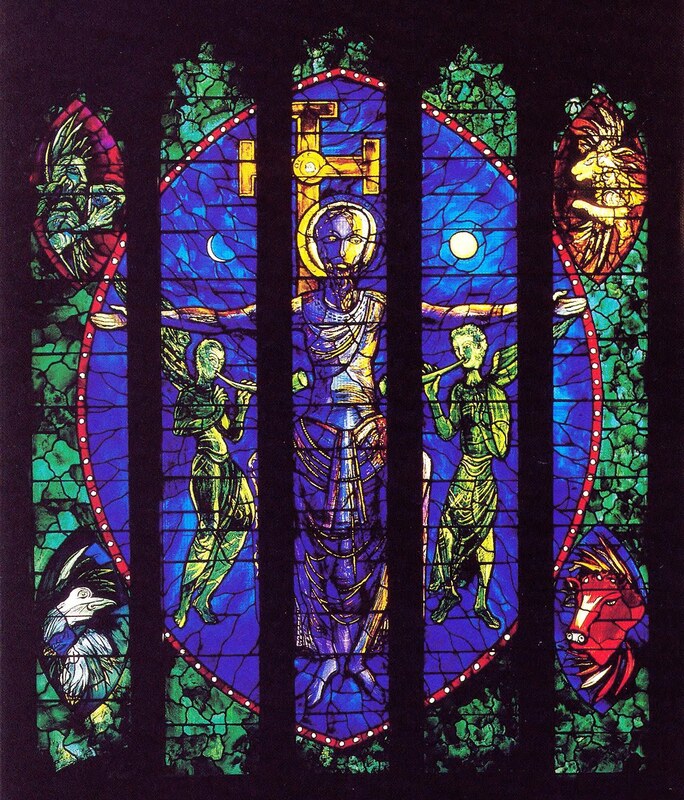 Gordon Giles, O Come, Emmanuel: Reflections on music and readings for Advent and Christmas (Oxford: Bible Reading Fellowship, 2005). Paul Gooder and Peter Babington, Love Life, Live Advent: Make room for the manger (London: Church House Publishing, 2014). 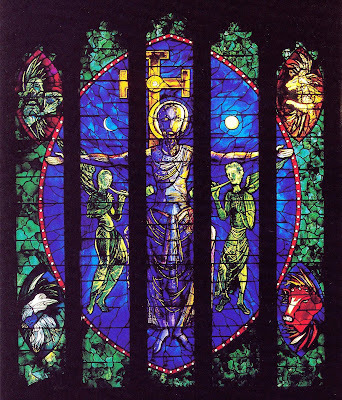 William Marshall, O Come Emmanuel: a devotional study of the Advent antiphons (Dublin: Columba/APCK, 1993). Benjamin Gordon-Taylor and Simon Jones, Celebrating Christ’s Appearing: Advent to Candlemas (London: SPCK, 2008; Alcuin Liturgy Guides 5). Times and Seasons: Services and Prayers for the Church of England (London: Church House Publishing, 2006). (Revd Canon Professor) Patrick Comerford is Director of Education and Training in the Dioceses of Limerick, Killaloe and Ardfert. These notes were prepared for a training day with Clergy and Readers in the Dioceses of Limerick, Killaloe and Ardfert in Saint Mary’s Rectory, Askeaton, Co Limerick, on Monday 20 November 2017. Next: Monday 22 January 2018, Preparing for Lent and Easter.